Okay, is it just me or is anyone else's allergies going insane right now?! Mine are and it feels like I am dying...okay not really but anyone with allergies can totally relate. The worst part? If it is outside, I am allergic to it! ...Oh, I'm also allergic to my cats but I will never get rid of them! Muhahaha. I'll suffer. 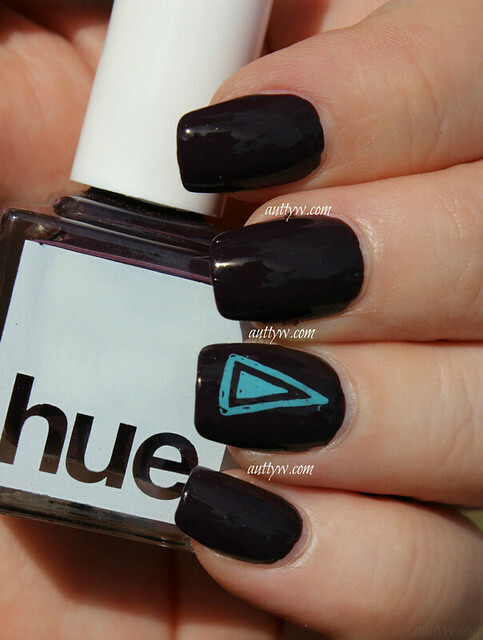 This months SquareHue at first glance was uneventful to me...That was until I actually painted my nails! These polishes are so pretty all in their own ways and the one polish I thought I would like the least, is actually the one I like the most! Surprise, surprise! I saw someone say that they were disappointed in the fact that there was no green in the collection. I'm not disappointed, but I am surprised...but also at the same time, I can understand why there isn't a green in the collection. Ya know? A municipality in the Netherlands consisting of 9 village, cities, towns, and/or districts. With this polish, depending on the length of you nail, you could get away with one coat, but I did two coats as a just in case...because that it what I prefer. The formula was amazing as well! It was not too thick or too thin and it dried pretty quick. I love how dark this polish is! It is such a deep grape purple! In certain lights though it can look black, but that is okay! This is also a 1-2 coat polish depending on the length of your nails. I used two coats. I also want to mention that the formula is the same as Waterland District. This is a two coater. This is the polish that I was talking about. I really thought that I would hate this color, because I am just so over red nail polishes. However, this has such a lovely pink shimmer to it, which you can see that it makes it unique to my collection...I think. Regardless, it is a very pretty nail polish! Since this polish is a shimmer, the formula is thinner than the others, but I didn't have any issues with it at all! Even though in the beginning I was feeling quite "meh" about the polishes, they all grew on me! I'm glad that these were in the box as well as Nieuwmarkt is PERFECT to wear for Valentines day! 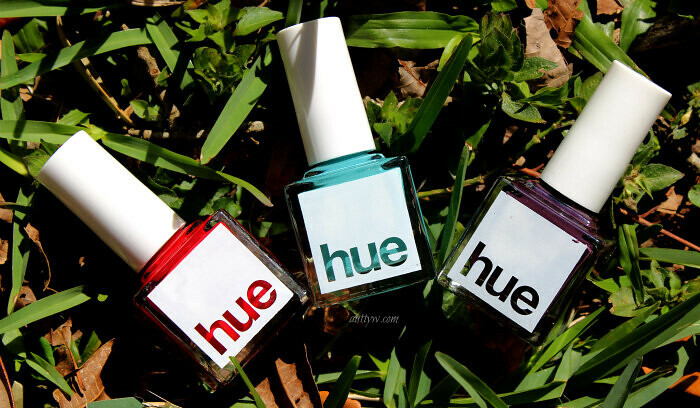 I also want to mention that the accent fingers were stamped with SquareHue polishes from the same collection. I used the MoYou Holy Shapes 01 Stamping plate. I would link it, but I don't know if there is still that issue going on with them.